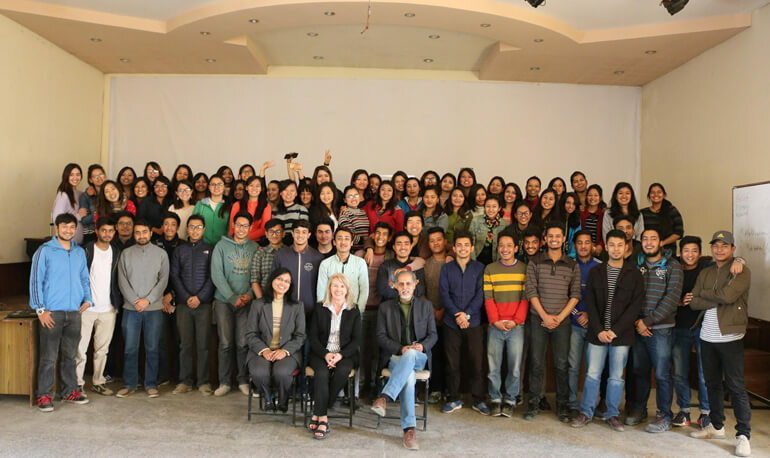 A comprehensive workshop was organized at KCM with Dr. Virginia Mullin, President at Mullin and Associates and Dr. Ann Leone Clancy, Principal at Appreciative Coaching Collaborative from March 3 to March 5 where they had an interactive session with 3rd year students of the college regarding the uncertainty that we face today, knowing yourself and change in current scenario where she emphasized on the significance of positive thinking in a person's life. Dr. Ann focused on the importance of learning about self and pivoting in life with many hands on activities. Dr. Mullin interacted about how challenges can be converted into opportunities with contemporary examples. Along with the students, an interaction program was organized for the faculty members of KCM regarding similar issues and ideas for better teaching and coordination with the students and enhance learning.